Ferdinand Henry was a Saint Lucian politician and former Cabinet Minister. Ferdinand Henry was born and educated in Dennery, Saint Lucia. In 1979, Henry captured the Dennery North seat for the United Workers Party (UWP) and held that seat through to 1992. 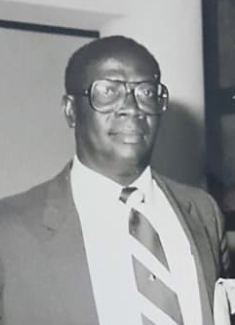 He also served as a parliamentary secretary in the Ministry of Health, and later as Minister for Agriculture, Lands, Fisheries, Forestry and Cooperatives. He was well known throughout the agricultural areas of Dennery. He worked extensively with the Agricultural Department of the Caribbean Development Bank. Landers was married to wife Jacinta Rita Henry. Ferdinand Henry died on 10 May 2018, aged 76. He was accorded an Offical Funeral on Friday, 25 May 2018 at the Saint Michael’s Roman Catholic Church in La Ressource, Dennery, St. Lucia.